Region produced in: D’Abruzzo, east, central Italy, stretching between the shores of the Adriatic coast, around Pesaro through a large mountainous region. Type of grape: Single type of red grape, Montepulciano, DOC, which means ‘Denominazione di Origine Controllata’. This is equivalent to the French AOC level and imposes restrictions on the use of grape varieties, permitted yields, and alcohol levels, ageing specifications and processing techniques. 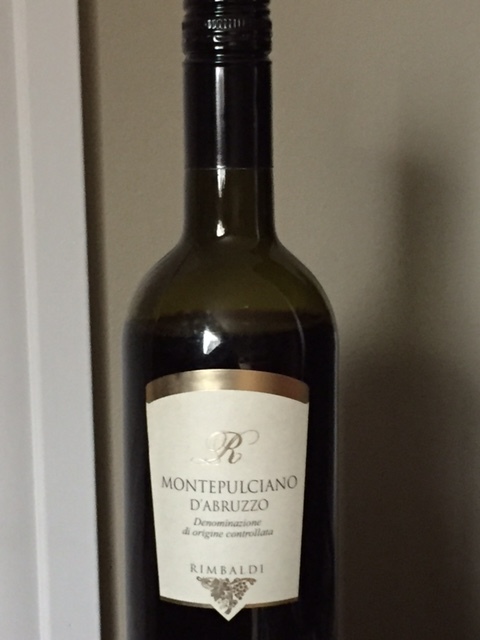 Characteristics of wine: While Montepulciano D’Abruzzo is often consumed young; the wine does have some aging potential. Food pairing: The Abruzzo region is known for pork and lamb dishes. Hot and spicy peppers are used heavily in the local cuisine. Pasta in red sauce is popular everywhere. They all pair well with this soft wine.